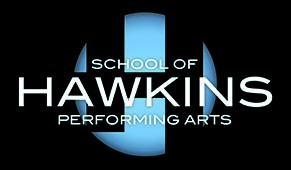 Welcome to the Hawkins School of Performing Arts! Please provide your information below and click submit when complete. All enrollments are considered pending until we have reviewed your registration and posted any fees due. Classes at Beginning 2 or higher require instructor approval. 1. Search the available classes by using the dropdowns to filter the list or page through the entire list using the arrows at the top of the list. 2. When you have located the class you wish to enroll students in, click the class and select the students to enroll. A non-refundable registration fee of $25 per student ($40 per family) is due upon registration. If a student discontinues classes, re-registration will be required to resume. Tuition is based on an entire season, and is divided into 11 equal payments. No adjustment will be made for vacations, holidays, or missed classes (students may makeup classes in any appropriate age and level class within 60 days and only if currently enrolled). Your account will be charged tuition based on the date of online enrollment. No refunds. Tuition is collected by automated debit, credit card or ACH payments and will be completed the 3rd of each month. Tuition will be assessed unless the school is notified IN WRITING by using the by Withdrawal Form found on the website or in the office and received by the 15th of the PRIOR month of the student's intent to discontinue. Hawkins School of Performing Arts and its designees has my permission to use class, recital, competition, or other studio function photos of my child for publicity purposes.